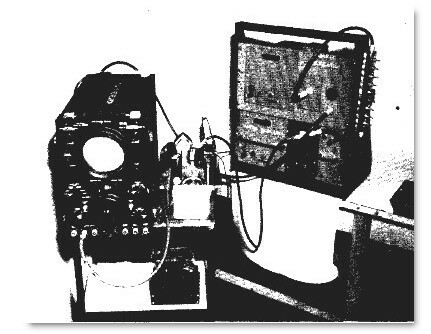 The apparatus used in George Ludwig's 1950 paper on ultrasound transmission in mammalian tissues. This was after the design from Pellam and Galt at M.I.T. 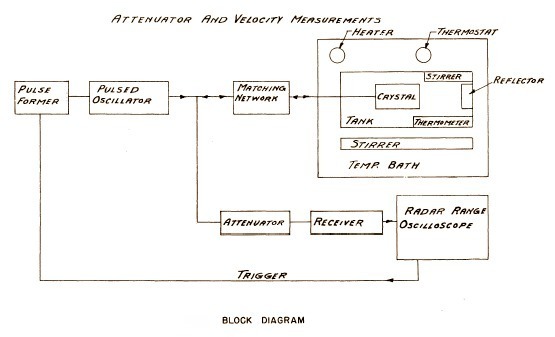 in 1946, used in the measurement of ultrasonic transmission in liquids. Left: oscilloscope, Center: Delay tank, Right: pulse forming network, oscillator, attenuator, and receiver. Return to George Ludwig's biography.